Born Chukie Edozien on November 24th is a Nigerian recording artist and CEO of Syndik8 Records. He was born to parents, his dad the former Governor of old Bendel state and the first deputy governor of Delta state, Chief John Edozien. Lynxxx was born into a family of six, him being the last child and only son. He got on the music scene in 2009, after observing and learning the tricks of the trade and dropped his hit single ‘Change Your Parade’ which put him in the spotlight. In 2010 Lynxxx became the first Nigerian artist to be endorsed by the global brand Pepsi, which set in motion his dream to become a global ambassador for Nigerian music. His endorsement sets him alongside Akon, the fist African artist to be endorsed, as well as Rihanna, Madonna and the late Michael Jackson.Aside from his musical career Lynxxx is also an entrepreneur who has established various lucrative businesses prior to the launch of his musical career. These include his clothing line (Syndik8 Denim), a digital recording studio (Red Room Studio- where various Nigerian artists like Sasha, MI, Ikechukwu etc have recorded), and a media company Happy Teddy Media (HTM) & Syndik8 films. Lynxxx has also been on the cover of various magazines such as Genevieve magazine, This Day Style, Complete Fashion, Ace magazine, and Mix Magazine. Lynxxx and friends tour diary Season 1 & 2 – Soundcity tv & onlineL’Espace commercial on TV and online.. and many more…..
Lynxxx coined the term ‘Utunu’ and is responsible for creating the music genre known as Jollof Music. Lynxxx also happened to be the first African brand ambassador for soft drink giant, Pepsi. This isn’t his only huge endorsement deal, he also signed a contract with telecoms giant Globacom to be a brand ambassador. His music career has earned him several accolades within and outside the continent; some of them are South-South Music Awards, City People Most Stylish Artiste, FAB Awards and several others. Lynxxx is a talented artist who is known for his impeccable fashion style. His fashion choices always warrant applause and his sense of style has been noticed and featured on the pages of magazines like Complete Fashion, This Day Style, Red Sheet and Genevieve magazine. Lynxxx won the 2011 FAB Award for most Stylish Male Artist, an award for which Darey, Naeto C and Dbanj were also nominated. 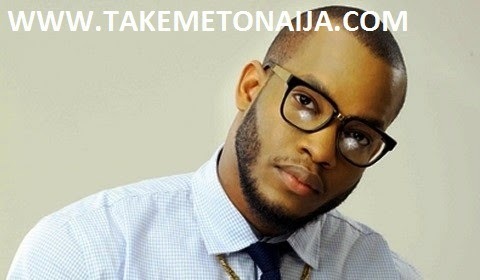 The stylish Lynxxx has been linked to several gorgeous women in the entertainment industry. He has also openly declared his admiration for ‘Kedike’ crooner, Chidinma, for whom he has severally admitted he has a crush on. He has also expressed a liking for media personality Kemi Adetiba. Then of course there is the unconfirmed story that he was in an intimate relationship with Bajan pop star Rihanna. In 2014 him and singer Chidinma came public on their romantic relationship after he share a romantic pic of them together. In 2014 he was named sexiest man in Nigeria by OK!Nigeria Magazine alongside Genevieve who was also sexiest woman in Nigeria by the Mag.